Rebecca Chappell received her M.F.A. 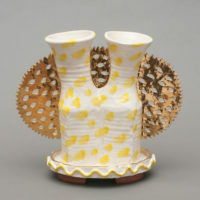 from the New York State College of Ceramics at Alfred University in 2008 and her B.F.A. 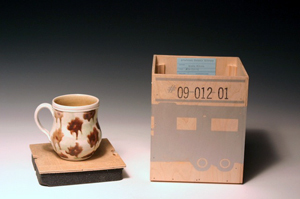 from the Cleveland Institute of Art in 2003. 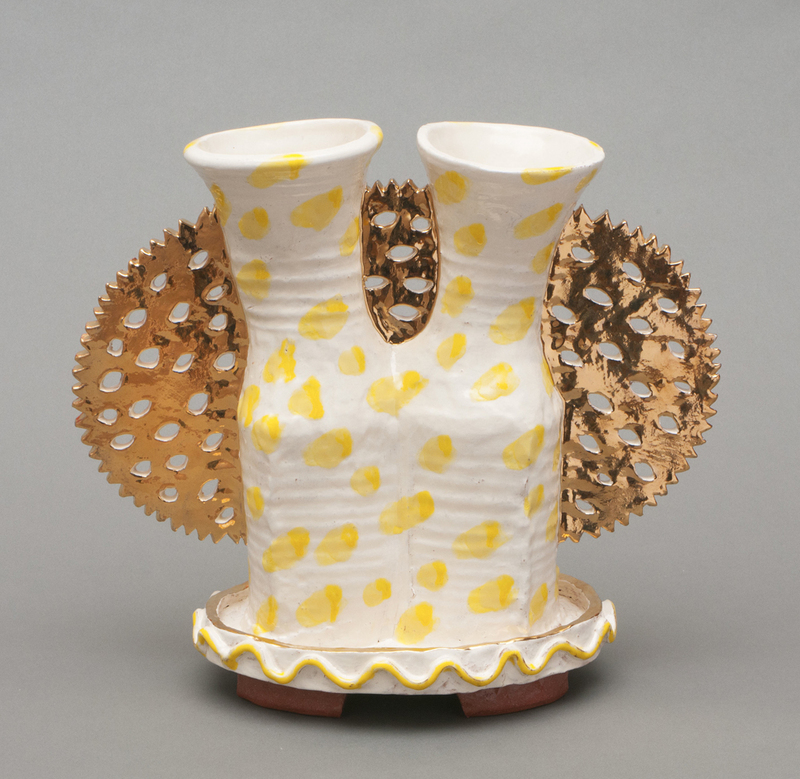 Chappell has participated in solo and group exhibitions across the US. 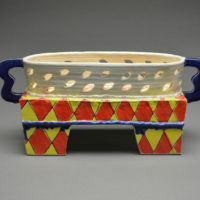 She currently teaches at the Maryland Institute of Art as well as Tyler School of Art. 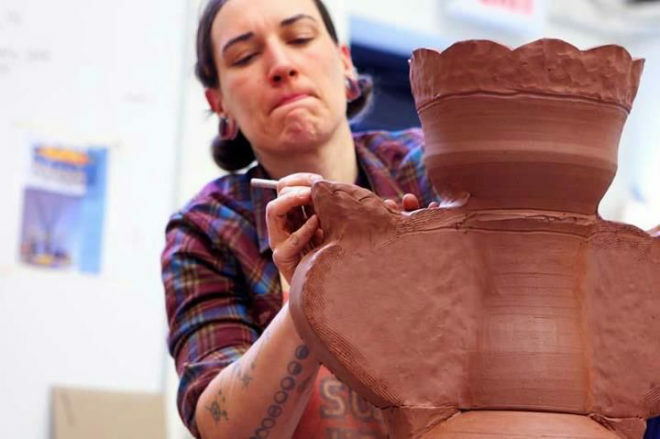 Rebecca lives and maintains a studio in North Philadelphia PA.
Pots can be covert instruments for carrying messages. Objects that over time, through intimate actions with the human body, slowly reveal surprises and meanings that are contained within. With my current body of studio work I continually strive to play and push myself beyond my comfort level. I find inspiration at the market and out on walks with my dog. The excitement I find in the colors and patterns in fruit, food, flowers drive me to make in the studio. For example, the color of a mound of oranges seen at Reading Terminal Market in downtown Philadelphia sparks interest and makes me want to produce an object to contain that vibrant color. So often the real informs the created. 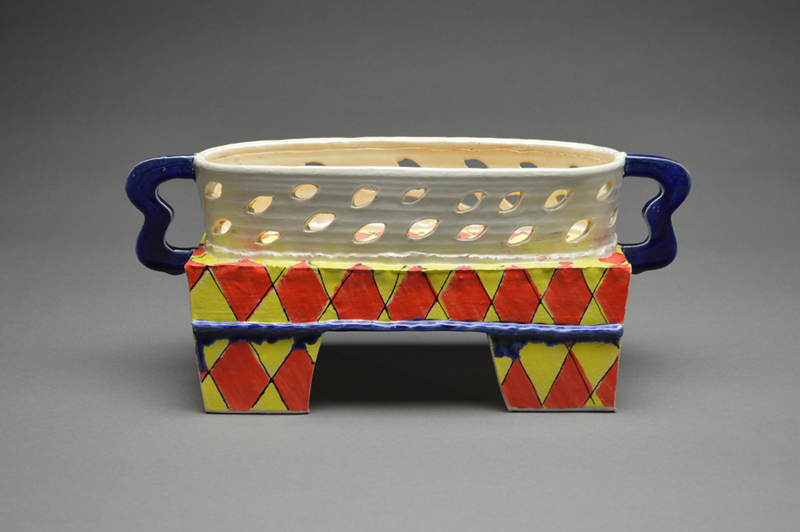 This is what I love so much about making pots: the relationship that exists between the real, the created, and the user; the life a pot has outside of my studio. I seek to create imagined objects and spaces that serve as moments to catch a wandering eye and allow the viewer the opportunity to pause; arranged moments of curiosity and wonder.